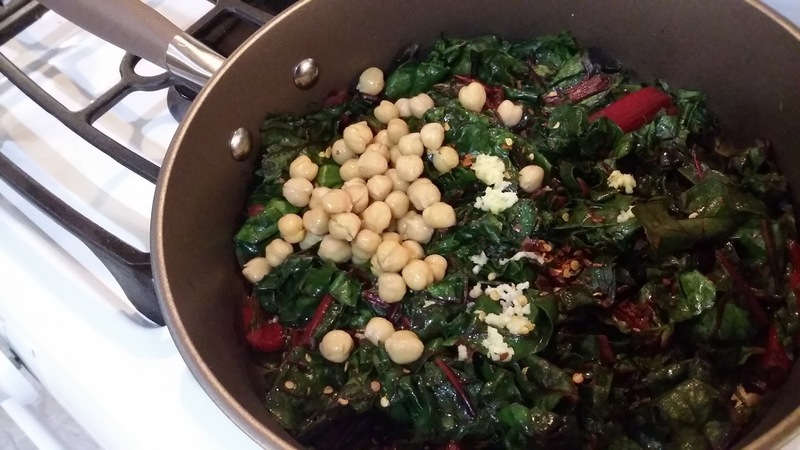 Red Wine, Red Chard and Crushed Red Pepper. 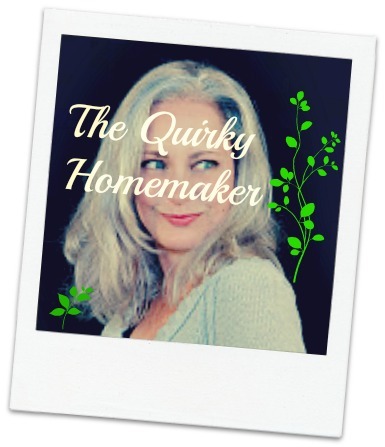 It makes a great quick and healthy lunch or a side dish for dinner. 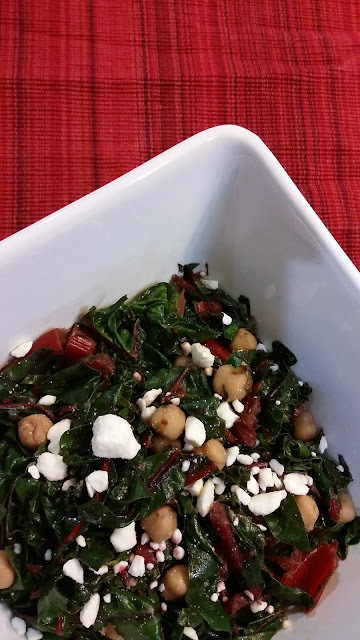 Red Chard takes little time to cook, so this can be ready in a jiffy. Talk about fast food! 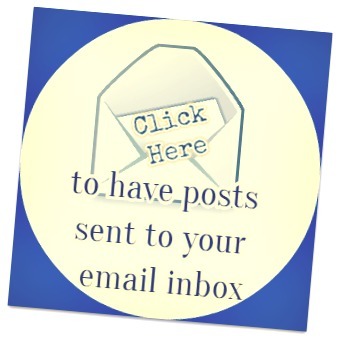 You might have to wait longer in the line at the fast food restaurant! 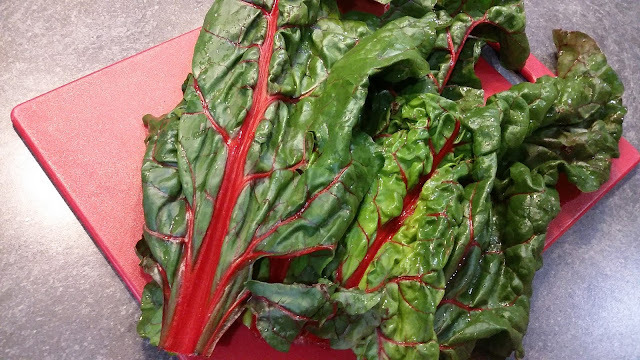 Red Chard is a nutrition powerhouse, containing Vitamins C, E and K, as well as beta-carotene, calcium, manganese, zinc and iron. Plus, there are only 7 calories in 1 cup of raw chard. 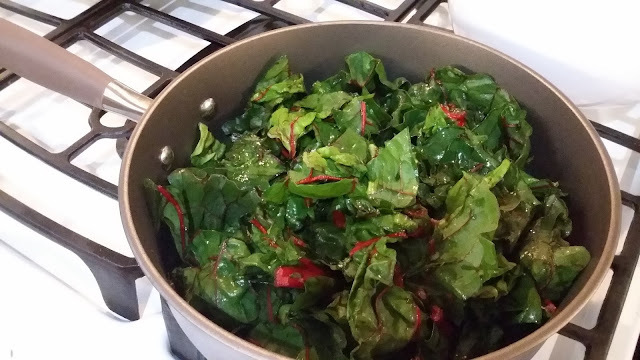 Add chard and stir until wilted. Add red wine, chickpeas, garlic and crushed red pepper. Heat for about a minute more and turn heat off. Move to bowl and top with feta cheese. 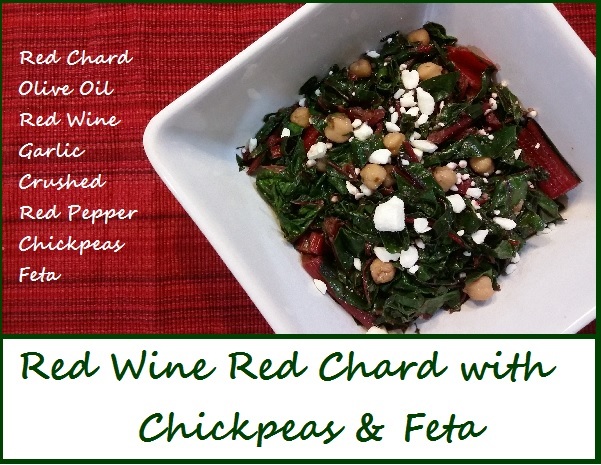 Have you ever cooked with any kind of Swiss Chard before?